Welcome to the annual Ohm Gnome Festival! Throughout the day there will be fun, games and offers all over the internet all around the world with Ohmies and Ohm retailers! Check out Ohm Stuff on Facebook for all the details! I am happy to be hosting a giveaway! Enter to win this brand new limited edition glass Rainbowed! The winner is randomly selected from all entries. The chalange for you is to tell us what Ohm Gnome is called in your language or dialect. Do you have a local gnome or gnome story you would like to share with the Ohm world? Please tell us all about it! We want to learn about gnomes around the world! If english is difficult for you, you can write in your own language. You have until 9am saturday Dutch time, or midnight tonight Seattle time! Thank you for beeing part of Ohmily! My primary language is English so he’s still called Gnome. I’m Canadian, though, so in Canadian he could be called “Gnome, eh?” 🙂 🙂 🙂 I don’t have a specific story about gnomes, but whenever I think of them I think of the movie “Gnomeo and Juliet.” It’s very cute and clever! Gnomes are still called Gnomes where I live in the U.K. We have Gnome World in Cornwall where they have gnomes in all sizes and styles.My motto is ‘Gnome is where the heart is’ so where ever you travel with your Gnome it will feel like Home. I’m American so we call him gnome. And the only gnome I know of is the little guy in the garden. I’m Australian so gnomes are gnomes here or we say… That’s not a gnome…. THIS is a gnome :p hehe kidding! I’m in the US and they’re just called gnomes. My story is that when my kids were in fifth grade their teacher was obsessed with them and had miniature gnomes all the way to large garden gnomes all over his classroom. Hi Trudy, I’m from the U.S. so here he’s just called gnome. There aren’t really any stories about gnomes, except maybe if some families still tells the ones from their original homelands. (I’m of Irish descent, so I grew up with leprechaun stories!) However, gnome statues are very popular garden decorations here ! In Italia si chiama Gnomo, e quando ero bambina ricordo che guardavo sempre un cartone che raccontava le avventure degli gnomi e si chiamava “David Gnomo amico mio”! In Italy Gnome is called Gnomo. There is a place in the region I live called “Sentiero degli Gnomi”, a path crossing a woodland inhabited by gnomes. Gnomes in Dutch are called “kabouters”. When I was a little girl my grandparents always took me for long walks in the forrest. My granddad told me to be very quiet so we could see some gnomes. 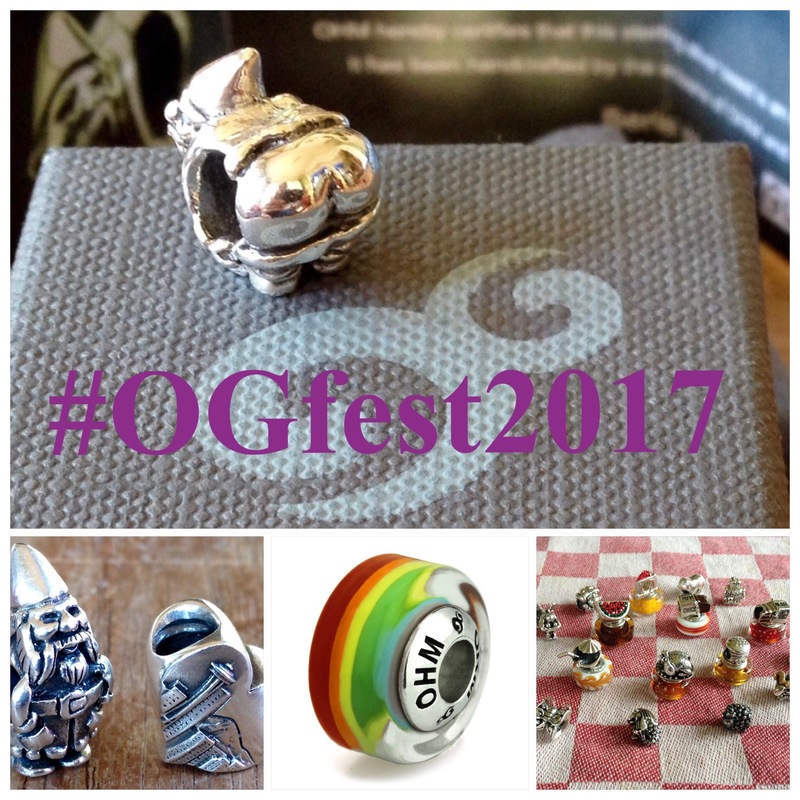 To remember my granddad I bought the Ohm Gnome bead. When I look at my gnome I’m back in that forrest with my grandparents again. So much happy memories. I live in American and a gnome is a gnome. Generally, gnomes hide in the gardens and hopefully do some of the weeding. Sorry, but we don’t really have any gnome stories. They are called Gnomes in the UK., but I like the name Gnomey. A neighbour of mine collects them and they have them all over their garden in different shapes and sizes like a gnome sanctuary. I’m from the US, gnomes are great and add a certain whimsy to anything really. Like Erin posted above, I prefer ginger gnomes with an affinity for pots of gold. I am from Québec, in Canada. Here, we speak french and we call them “gnome” of maybe “lutin”…they live in gardens and are kind of boy faeries without wing…but much older! In Danish it’s Nisse. I have a few in my garden and always put out my Christmas ones and change where they are every now and then. Keeps everyone on their toes , after all ” I didn’t move them”! LOL In some book versions of Hans Christian Anderson’s fairy tales Nisse was changed to goblin. Great way of scaring a kid. I’m glad I have the older book that has the right way of using Nisse. My native language is Russian and in our fairy tales little magical creatures are called brownies, kikimors and forest spirits. We call them garden gnomes in the US as far as I know. Never had a garden or a gnome myself. Well, I guess that we’d call them “lutin” or “farfadet” (not used as much) in France. Called Gnome where I am from in US. My step-dad grew up in Africa, growing up he would tell me about African myth/folklore. In West Africa, they have a benevolent, small, hairy humanoid that lives in anthills called Azizi. The Azizi give good magic and hunting advice to those who listen. They also smoke long pipes like a more traditional European gnome. I always thought they sounded adorable and helpful, just like the Ohm Gnomes and their friends. In France, we call it also gnome. But depending on the region, he can take different names. In Brittany region in the West side of France, there is the “Korrigan”. In the Breton folklore, it is a fairy or dwarf-like spirit. The word korrigan means “small-dwarf”, and it is closely related to the Cornish word “Korrik” which means gnome. Benevolent or malicious as the case may be, the Korrigan can be extremely generous, or capable of horrible vengeance. I’m English, so he is just gnome. I named him, zohmi gnomie! I have several garden and house gnomes. I also have fae friends who like to tease the gnomes. But we have a lot of fun! In flemish we call a gnome “een kabouter”, in my regional dialect that becomes “een kabooterken” (especially when very tiny or super cute) or “ne kabooter”. In Spain we call him Nomo 🙂 and I don’t know any story on my country, but when I was a child it was a cartoon series about David el Nomo, it was fun! In Brazil we have Saci Pereré 🙂 he is tiny with a hat as santa Klaus. “Gnome” for me in the USA. Whimsical garden gnome figures are often seen in yards and on porches here. Did you know however that except for the year 2013, they are banned from displays at the Chelsea Flower Show in England as too tacky, “gnomes detract from the presentation of the plants or products on display, and from the general appearance of the show”. LOL!! Well I’m from the US, so it’s ‘gnome’ for me. However, I currently live in Quebec, so in French they say ‘nain’. You don’t see them too often where I live, but they sure are cute! Gnome in Russia called Domovoy. This little gray-haired old man, who lives behind the stove, friendly with cats and loves milk. People believe that as long as Domovoy lives in a house, they are not afraid of any trouble, so they try to feed and care for him. Gnome in Canada is just a plain ol’ gnome! At chapters( bookstore) you use to be able to buy a mini gnome and he had a mini passport that went along with him. He was great to take on trips, you could just take the best pictures of him everywhere you go! In my town when I was in college people couldn’t keep garden gnomes because a group of young teenagers would steal them. I remember it went on all summer all over the city. This was like 1990. There was a news story about it. People pointing to blank places in their landscaping and gardens to the reporter where their beloved gnome used to be. If I remember correctly the cheeky thieves sometimes left ransom notes or good bye letters. Near the end of the summer the culprits were caught because they were also stealing bikes. All the gnomes were found in a backyard shed along with the bikes. It was a funny kitschy story while it was happening. Well I am from Germany so he is called Gartenzwerg of course. They were quite popular and almost every garden had one, then tehy were unpopular again but they have become popular again of course. Sometimes I send a Gartenzwerg to my friends abroad for fun! 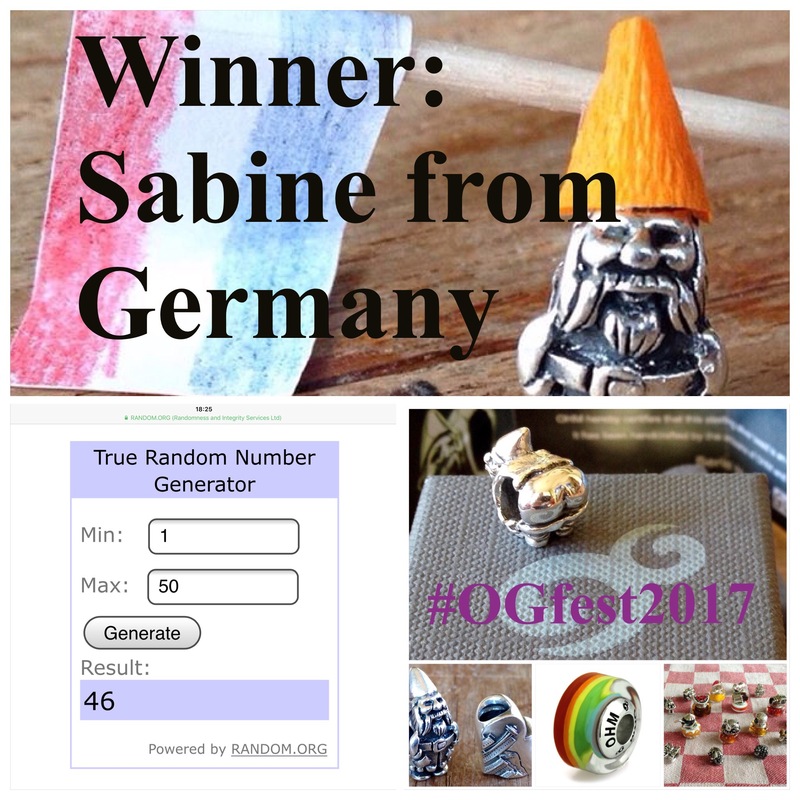 Hi Sabine, tou have won the random draw, can you send me your address please? Congratulations! I’m based in the US, so he’s still the Ohm Gnome. Thank you for hosting! Here in the US he is simply called gnome or sometimes garden gnome. I had brought a wonderful little gathering of gnomes to my garden in my front yard, but as gnomes love to do, they eventually left on their own to travel the world. Every once in a while I run into one of my buddies out on an adventure.